CORPUS CHRISTI, TX - The City of Corpus Christi received a commitment from the developer of a proposed wind farm project which will protect the Navy’s flight training mission in the Coastal Bend. On Tuesday, February 28, 2017, the Corpus Christi City Council will consider on its Future Agenda, a commitment from Chapman Ranch Wind I, LLC, (i.e. 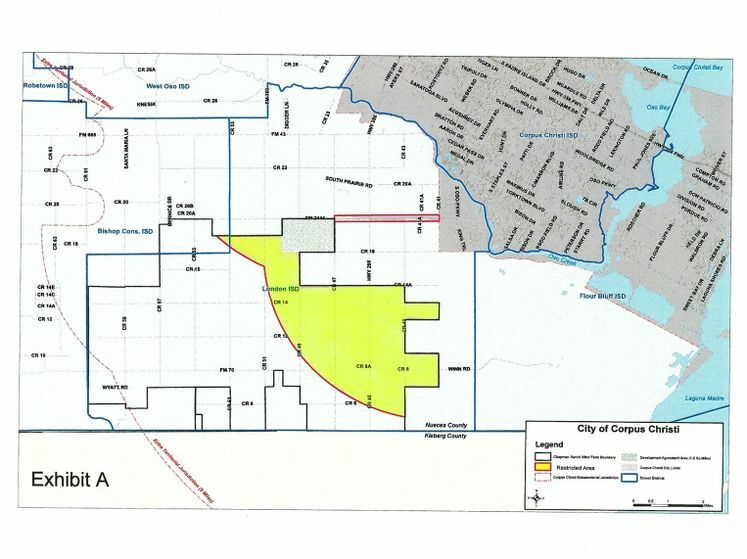 Enbridge, Inc.) to prohibit wind farm development in a 16.34 square mile area for a period of at least 25 years conditioned on the City de-annexing the area within six months. The final vote on the proposed agreement is scheduled for March 21, 2017. The Council is also scheduled to consider on First Reading on February 28 an ordinance de-annexing the Chapman Ranch area from the territorial limits of the City. The ordinance is expected to be approved on Second Reading on March 21. The City went on record in March 2014 regarding concerns the project might have on the Navy-owned Air Surveillance Radar (ASR-11) located at Corpus Christi International Airport and the ASR-11 at Naval Air Station-Kingsville. The City annexed the mostly agricultural land in 2014, which has approximately 16 dwellings and 44 residents. The City is required by state law to develop a service plan for the annexed area to provide comparable municipal services, including the extension of water and wastewater services. The City estimated the capital costs to extend water and sewer services to the Chapman Ranch residents at approximately $13 million. The project’s original owner moved the proposed location farther outside of the City’s extraterritorial jurisdiction and subsequently sold the project to Chapman Ranch Wind I, LLC/Enbridge. Construction has begun on the project. During the 25-year term of the proposed agreement Chapman Ranch Wind I, LLC, shall not construct, develop or operate any wind turbines in excess of 100 feet in height in the area to be de-annexed and will not sell, grant or otherwise transfer its rights to construct, develop or operate any wind turbines in excess of 100 feet in height in the de-annexed area. For more information, contact Intergovernmental Relations Director Tom Tagliabue at (361) 400-8807 or via email at tomtag@cctexas.com.